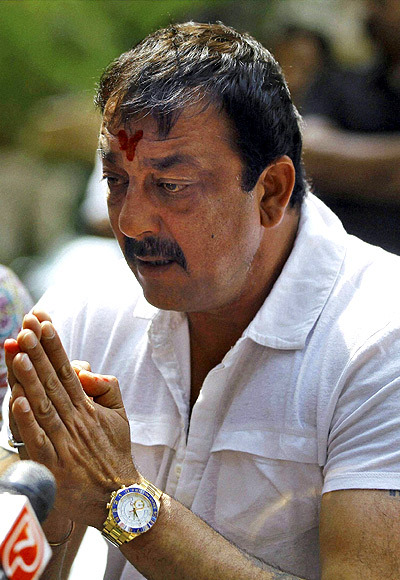 The Supreme Court on Friday rejected actor Sanjay Dutt's plea, seeking review of the judgment upholding his conviction under the Arms Act and sentencing him to five years in jail in the 1993 Mumbai serial blasts case. A bench of P Sathasivam and B S Chauhan said there is no case made out for it to review its decision of March this year, when it had upheld Mr Dutt's conviction for possessing arms illegally and sentenced him to a five-year jail term. The petition of six other convicts -- Yusuf Mohsin Nulwalla, Khalil Ahmed Sayed Ali Nazir, Mohamed Dawood Yusuf Khan, Shaikh Asif Yusuf, Muzammil Umar Kadri and Mohd Ahmed Shaikh -- too were dismissed. Following Friday's verdict, Dutt has exhausted all legal options and will have to go to jail on May 15. 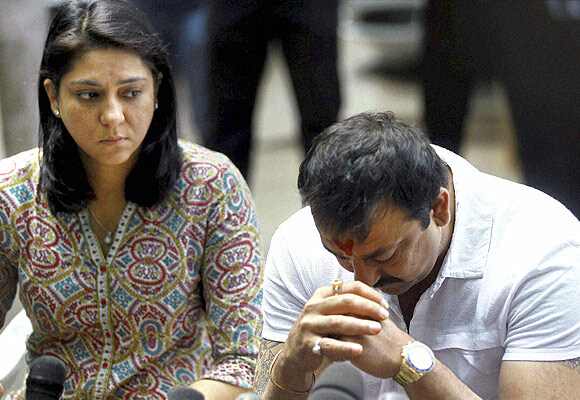 A day before the deadline for his surrendered, the Supreme Court had on April 17 granted Dutt, 53, four weeks time to surrender before jail authorities to undergo 42 months remaining sentence in the case. The Apex court had on March 21 upheld his conviction in the 1993 Mumbai serial blasts case which it said was organised by Dawood Ibrahim and others with the involvement of Pakistan's Inter Services Intelligence. However, the Apex court had reduced to five years the six-year jail term awarded to Dutt by a designated TADA court in 2006, ruling out his release on probation saying the nature of his offence was "serious". Dutt was convicted by the TADA court for illegal possession a 9 mm pistol and a AK-56 rifle which were part of the consignment of weapons and explosives smuggled into India for the serial blasts that killed 257 people and injured over 700.